England shall be led by limited-overs captain Eoin Morgan in the One-Day International and Twenty20 series against India, which starts next month. Top-order batsman Alex Hales shall also make a return to England's ODI and T-20 squad besides the 30-year-old Morgan. Both the players are back in the international set-up after having opted out of the ODI series in Bangladesh in October due to security concerns. Middle-order batsman Joe Root also returns to the 15-member squad having been rested for England’s ODI series victory over Bangladesh. Pacer Ben Duckett, Steven Finn and James Vince will return home after the Test series. 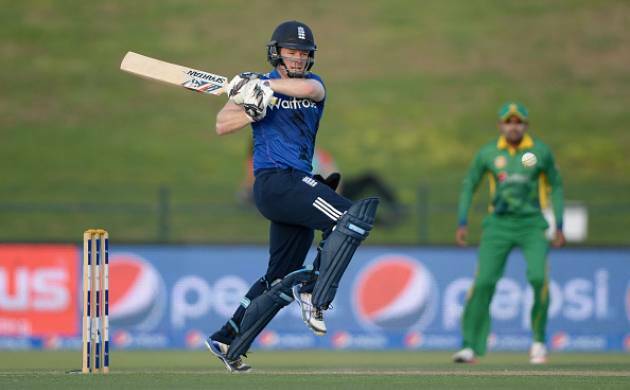 Under Morgan and head coach Trevor Bayliss, England have won nine of their last 12 ODIs. England will play three ODIs and three T20s during the three-week tour with the ODI opener taking place on January 15 in Pune. Before the start of the limited overs series, England are scheduled to play a warm-up matches (50 overs) against India A on January 10 at the CCI ground in Mumbai. Indian limited-overs captain Mahendra Singh Dhoni might get some game time during this warm-up game. Dhoni has not been playing since the home series against New Zealand in October. England ODI Squad: Eoin Morgan (Captain), Moeen Ali, Jonathan Bairstow, Jake Ball, Sam Billings, Jos Buttler, Liam Dawson, Alex Hales, Liam Plunkett, Adil Rashid, Joe Root, Jason Roy, Ben Stokes, David Willey, Chris Woakes. England T20 Squad: Eoin Morgan (Captain), Moeen Ali, Jake Ball, Sam Billings, Jos Buttler, Liam Dawson, Alex Hales, Chris Jordan, Tymal Mills, Liam Plunkett, Adil Rashid, Joe Root, Jason Roy, Ben Stokes, David Willey.